SEO or Search Engine Optimization is the process or science (and sometimes an art in itself) of maximizing the visibility of websites in search engines, in the results they generate and getting the optimum level of relevant traffic directed to one’s site, thus the word optimization is used. This involves a lot more than one would have guessed, from the way that a site is structured, the manner in which it connects to other websites, to the words used in the main areas of the website. It is common knowledge and now statistically proven that the higher up or earlier a website appears on a search engines results page, the more traffic it is likely to get from the users of that search engine. The second factor to influence traffic is frequency of appearance on the results page, or how many times a certain website appears on a search engine’s results page. The primary or basic goal of search engine optimization is to maximize both these aspects of appearance to direct more traffic towards a website from a search engine. Search engines use internet bots called ‘crawlers’ or ‘spiders’ to index websites on the World Wide Web and keep their indexes updated. This process is called crawling or to put it in easier terms, crawling is the process of reading and cataloguing websites on the internet. In collaboration with these spiders, algorithms are written to generate results from the indexes created by these internet spiders. The process or methods through which, firstly, a website is made easier to index for a search engine’s spiders and secondly, made as responsive as possible to the algorithms of search engine, is what a large part of search engine optimization is all about. Remember, SEO deals with improving the ‘organic’ or ‘natural’ results that a search engine generates for one’s website. Organic here means that the results are not optimized through paying the search engine as is done in ad based optimization to get paid or sponsored results, which involves different set of strategies or tactics, as well as payment. 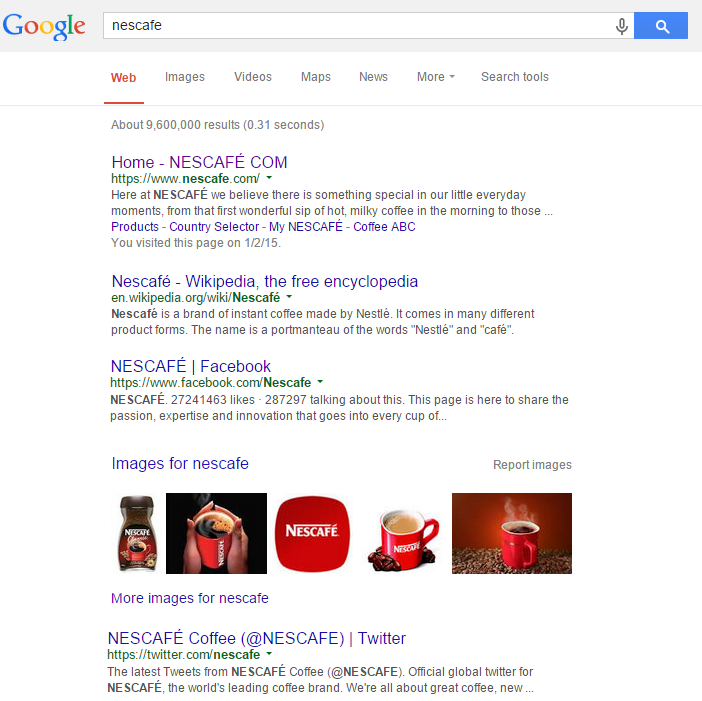 That is another search engine marketing methodology altogether. Before we move on towards understanding how SEO achieves the above mentioned objectives for a website, let us look into a more basic question – why does a website need SEO to begin with? Although it is possible and necessary to generate traffic, get recognition and build interest for your website through social media, advertising and other forms of traffic to attract visitors to a website, search engines are the backbone of any website’s publicity and visibility. This is due to two major reasons. Firstly, search engines are the virtual highways through which the majority of internet traffic flows and finds its destinations. Based on the statistics, Google.com is the most visited website. (Source) with around 80% of searches being conducted through this search engine alone. And that is just Google alone. So if a website is not doing well in its relationship with search engines, it is literally missing out on the majority of the traffic found on the internet. Secondly, an essential quality of search engines is their ability to generate and direct targeted traffic towards a website – in easier words, visitors who are interested in exactly what a certain website has to offer. These targeted visitors are an indispensable component of success on the web and the growth of a website, since they can be (and mostly are) a single major source of publicity, exposure and revenue to a degree that no form of marketing can ever compensate for. Thus, investing in SEO is crucial to the prosperity of any internet venture due to stakes involved. Search engine optimization is not entirely made up of complex methods involving the understanding of algorithms and the anatomy of the internet. A large portion of it is made up of easy to use (or at least understand) techniques which can be used by the internet-savant and average webmaster alike. Before we go on you have to understand that SEO is a part of search engine marketing (SEM), which is made up from SEO and paid advertising, SEO being natural or organic reach and paid advertising using paid reach to increase visibility of a website. These two at times overlap and intertwine, as they ultimately have the same goal, but they do use different techniques to achieve this goal. When it comes to SEO, you have to differentiate between on-page and off-page SEO. Both of these are inseparable part of search engine optimization, but the difference is where you apply SEO techniques. On-page optimization includes optimization of elements on the page itself, meaning optimizing a website according to the SEO guidelines. On the other hand, off-page SEO requires usage of different techniques in the purpose of optimizing a website using external elements, which mostly includes link building and nurturing the reputation of your website. SEO techniques are classified in many ways, but one classification is of a legal or procedural nature. And that is of black hat SEO versus white hat SEO with grey hat SEO being a no-man’s land of sorts between the two. Black hat SEO consists of techniques, which are disapproved of by search engines and in some cases not tolerated, to the point that they can lead to a website being penalized, which means losing ranking or being completely removed from the search engine results. They all have one thing in common, which is the fact that they revolve around deceiving or tricking the search engine and its algorithms into producing higher rankings and better results for the website. They are not geared towards creating better content and developing a committed user base or content visitors. They are concerned with climbing to the top of the search results page through tricks. An example of black hat SEO is the use of the same color for background and a body of text hidden in it. And so another obvious and inevitable characteristic is that black hat SEO is usually a short term enterprise and also results in short term gains, whereas as white hat SEO results are long-lasting and centered around creating better content and serving and building a broader user base. White hat SEO can be defined as optimization done within the guidelines set by the search engine. Making the website abundant in keyword-rich text and key phrases to anticipate as many search queries as possible. It includes the addition of relevant keywords to the meta tags of the website. Creating dense and unique title tags for every page. It helps search engines understand the contents of a page by providing them a quick reference. The creation of media content such as press clippings, e-zines or newsletters to maintain a threshold of inbound links. Using online resources such as Google Trends and Google Analytics to understand current online behaviors and patterns in context of what is trending. Varying search phrases and employing them in the first 100 words of content. Employing a backlink from a web directory. The use of canonical meta tag or 301 directs to achieve URL normalization in case of multi URL web pages. Crosslink between pages of the same site. Providing greater number of links to the main pages of the website. Using other websites to link back to the original. Employing a mixture of keywords and key phrases in conjunction with brand/business being promoted. In addition to these techniques, the base of white hat SEO is in content creation. No website can hope to even minimally prosper without content that is of value, relevance, novelty and some element of uniqueness. All these elements need to come together in a body of content that can easily be scanned, since visitors are going to come towards detailed reading and viewing after an initial scan. White hat SEOs rely heavily on what is called link bait, the technique where content is created with the objective of being shared on a massive scale with the expectation of earning backlinks. The modern SEO revolves around the users, thus content has a major role in SEO. Creating outstanding content will help you attract the users, which will also be a signal to search engines that your site provides value, thus improving ranking of your website. The last category to be mentioned in this section is that of grey hat SEO, which exists on a kind of boundary between black hat and white hat SEO. These are SEO techniques which carry a risk of being disapproved and penalized by search engines but are technically not against the guidelines and parameters set by search engines. A common example of grey hat SEO is the creation of micro sites which are owned by the same webmaster, and then linked back to the parent site which is the intended beneficiary of the optimization. One of the most important uses of SEO is its employment as a marketing strategy for businesses and entrepreneurs. Having better visibility and rankings on search engines can make all the difference in the success of a business when it comes to getting ahead and having an edge in today’s competitive market, on the internet. A simple way to understand this is to think of the internet as a network of roads and the search engines being the main highways through which drivers navigate their route and discover places that have something to offer them. The search results on say Google or Yahoo! are like sign posts on a highway – they show you what is where and give you access to places you might not even know existed. There is an old problem in philosophy, which goes something like this: If a tree falls in a forest and no one is there to hear it, does it still make a sound? This relates to marketing on the internet in a surprisingly relevant manner. An entrepreneur could create a very attractive, relevant and user-friendly website offering content that is even in demand. But if there is no way for consumers (in this case users) to know about it and find access to it, it is like that proverbial tree which falls in a forest without making a sound. Thus, when it comes to e-commerce, traffic is the currency of a business’s success on the web. The more people find your page, the more they are likely to become frequent visitors and convert into consumers of whatever your website has to offer, whether it is a service or a product or whether you are simply selling information. Search engine optimization is a way to enhance your relationship with search engines, to be seen as much as possible. Using our previous metaphor, it means to make as much sound as possible. Investing in SEO is quickly becoming an integral part of the marketing strategy of businesses, groups and individuals alongside other methods, which take up the bulk of the marketing budget, such as advertisements, endorsements, social media marketing etc. The reason for this is very simple – experience. Investment in SEO pays off and businesses/organizations witness significant results popularity and revenue after making SEO a part of their marketing strategy. However, there is a downside to too much reliance on SEO for generating traffic and revenue, since search engines are in a constant process of altering their algorithms, and evolving their system of crawling and ranking. This is the reason why SEO, when used as a marketing tool, turns out to be an endeavor requiring constant vigilance and analysis. But the pros far outnumber the cons, which is why statistics and trends in e-commerce are starting to bear testimony to the effectiveness of SEO as a marketing tool. With over 40,000 searches on Google each second, we can conclude that search engines can bring much higher volume of visits than direct traffic. 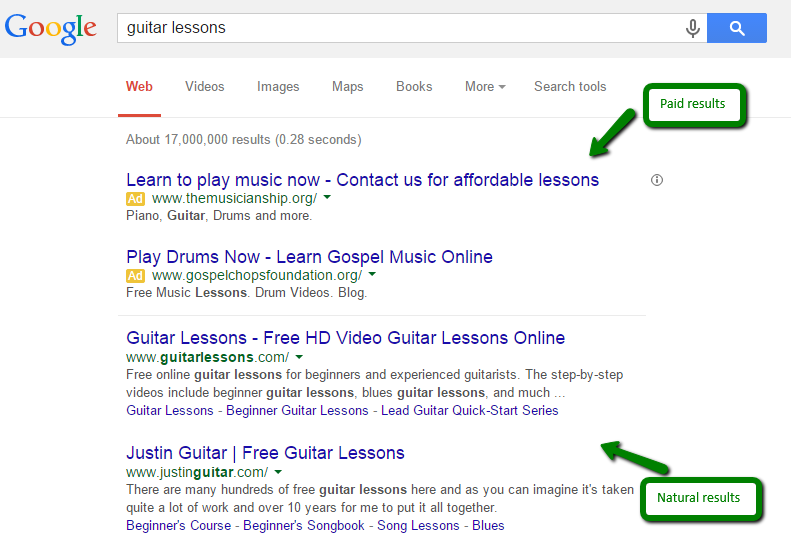 This shows what an important source of attracting consumers the search engine arena has become. So a website that is not optimized for performing well in search engines is losing half of its potential traffic already. Essentially, search engine optimization is a part of internet marketing, and as such it overlaps with other forms of internet marketing, such as paid advertising and social media marketing. For example, when it comes to paid advertising, SEO helps you create landing page that will affect the outcome of paid advertising. When it comes to social media marketing, it is said that social media send so-called social signals that might affect search engines when determining ranking. Even though this might be the case, what we know for sure is that when you use a search engine to look up a certain query, you will see the results from social networking websites, especially if those are popular accounts with lots of activity and lots of followers. Therefore, you will frequently see the results from Wikipedia, Facebook, Twitter and other social networks ranked high in the search result page, which supports the fact that social media marketing can also help you improve visibility of the website on the internet, fulfilling the same goal as SEO.